Barbara Jones was a judge in the U.S. District Court for the Southern District of New York for 16 years. Judge Jones handled a wide range of cases relating to accounting and securities fraud, antitrust, fraud and corruption involving city contracts and federal loan programs, labor racketeering and terrorism. In addition to her judicial service, she spent more than two decades as a prosecutor. 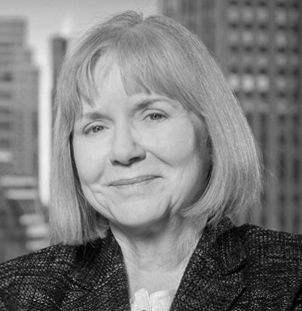 Judge Jones now brings that deep experience to her private practice, focusing on corporate compliance issues, internal investigations, and service as a court-appointed monitor or special master. Prior to her nomination to the bench in 1995, Judge Jones was the Chief Assistant to Robert M. Morgenthau, then the District Attorney of New York County. In that role she supervised community affairs, public information and oversaw the work of the Homicide Investigation Unit. Previously, Judge Jones was an Assistant U.S. Attorney in the Southern District of New York. She tried a number of significant organized crime cases in that position, including one of the first Racketeer Influenced and Corrupt Organizations Act (RICO) cases against New York City’s Bonanno organized crime family. She went on to serve as the chief of the Organized Crime Strike Force in Manhattan, where she coordinated the investigations which led to the successful prosecution of the leaders of each of New York’s five La Cosa Nostra families in the so-called “Commission Case.” She began her career as a special attorney in the Honors Program of the U.S. Department of Justice assigned to the organized crime unit of the Criminal Division. Judge Barbara Jones is a graduate of Temple University School of Law. She received her B.A. from Mount St. Mary’s College. Judge Jones was the first woman to head a U.S. Department of Justice strike force office as the chief of the Manhattan Organized Crime Strike Force in the Southern District of New York. During her judicial service, Judge Jones presided over the high-profile trial of Bernard Ebbers, the former CEO of WorldCom. The case was among the largest accounting fraud prosecutions in U.S. history. In May 2010, Judge Jones was appointed by the Chief Justice of the United States to serve on the seven-member Judicial Panel on Multidistrict Litigation; she served on the panel until October 2012.